There are a significant number of challenges to marketing a tax advice business. Successful outbound marketing (advertising in the press and trade magazines) depends on your advertisement being seen by the right person at the right time, and the search engines are dominated by tax advice businesses who have paid to have their company advertised at the top of the search engine results pages. Fortunately, for small and medium sized tax advice businesses, you’ve got the option of using inbound marketing for tax advice businesses. 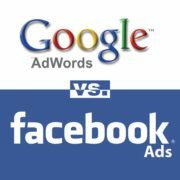 Pay-Per-Click advertising (such as Google Adwords) on average generates 6% of a company´s business leads, but exhausts 9% of a company´s marketing budget☺. The figures for the lead generators at the top of the list improved substantially for smaller (1-5 employees) and medium (6-200 employees) sized companies, with 15% of business leads each being generated by SEO Organic Search and Social Media Marketing while Pay-Per-Click Advertising and Outbound Marketing each attracted just 4% of incoming business. In fact the smaller the company, the more likely it is to benefit from inbound marketing, and below we demonstrate how best to use inbound marketing for tax advice businesses using the top four lead generators from the list above. 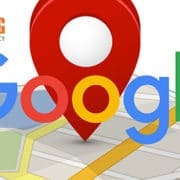 People who require the service of a tax advice business live in all locations, so by adding your geographical location to the keywords in your website content such as “Tax Advice in [insert your location]” you are likely to receive more interest from private and commercial clients in your area due to your geo-targeting. Adding “Milton Keynes” (for example) to the URLs of your website will not necessarily elevate you to the top of the search engine results overnight, and there is likely to be other “Search Engine Optimization” that needs to be completed before your website reaches the first page of Google, but geo-targeting is just one tool that can be used to get better organic search results for your website. Email marketing is acknowledged as one of the most successful forms of inbound marketing, with “click-through rates” indicating a high level of interest among recipients who have opted-in to receive emails. Tax advice businesses can use email marketing as a means of engaging existing customers by advising of new legislation, deadlines for tax returns and new opportunities for tax planning; however email marketing can also be used to generate new business leads. Although email marketing is often considered to be only of value when companies have an existing database of clients, one of the best ways to utilize email marketing to generate new business leads is to request that each email you send is forwarded on. If your existing clients share the information you provide with business associates, family and friends, this would imply that they are personally recommending your company and you should experience an increased number of visits to your website. Social media marketing, although having similar goals to email marketing, offers far more opportunities to engage your clients in open conversation, discuss tax issues and direct traffic to your website. Social media marketing allows you to market the content of your website in an environment which is accustomed to sharing, which in turn will raise your profile within the search engine results pages. Your company’s social media strategy should be balanced between the “popular” social media (Facebook and Twitter) and the “professional” social media (LinkedIn and Google+) to maximize your accessibility to potential clients seeking information from tax advice businesses in the UK, and to maximize the potential for those in your social media circle to share your posts with others in theirs. In terms of a tax advice business in the UK, business blogs are essential for maintaining fresh content on your website. Fresh and relevant content attracts interest from the search engines, gives you a reason to conduct email marketing and keeps people interested in your social media marketing. Importantly, with so many different areas of tax advice available, the opportunity exists to delegate the writing of business blogs to experts within your company in order to reduce the volume of work an individual has to do. For example, different writers could compose business blogs on Personal Tax, Corporation Tax, VAT, Sole Trader Tax, Partnership Tax, IR35s and Contractor Tax – with each providing fresh content to feed your inbound marketing strategy and ensure there is a reason for both your private and commercial clients to return to your website on a regular basis. The success of an inbound marketing strategy often revolves around producing compelling content and marketing that content to its full potential. 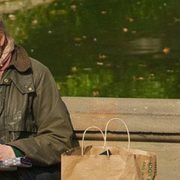 If this is an area of your marketing which is not performing as well as it should be, we are a professional content marketing agency and you should speak with us to discuss the challenges faced by your industry. Possibly one of the biggest challenges to tax advice businesses who want to integrate an inbound marketing strategy into their overall marketing plan, is to have the support from within your own company. With IT departments, administrators and advisors having their own agendas, it can often be difficult to introduce a comprehensive inbound marketing strategy which encompasses every element required for your marketing to be successful. 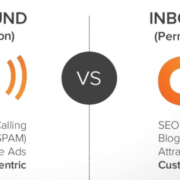 Integrating inbound marketing into the overall marketing mix is more important than ever. Content used to form the backbone of inbound efforts must be supported with other paid, earned and owned tactics to reach maximum effectiveness, and that requires plenty of internal cooperation and strategic planning. 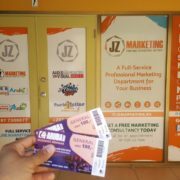 Internal cooperation is something you may have to sort out for yourself, but JZ Marketing can assist you with your strategic planning, and we can even offer you a free social media marketing trial for you to assess the benefits of using inbound marketing for tax advice businesses. In order to take advantage of this offer, simply complete your contact details in the form at the bottom of the page, and one of our advisors will be in touch to discuss your company´s inbound marketing needs and how we may be able to help. Although Pay-Per-Click advertising is a tax deductable expense, would it not be of greater benefit to get a better response to the money you spend on your marketing budget? If you agree, do not forget to share this article!